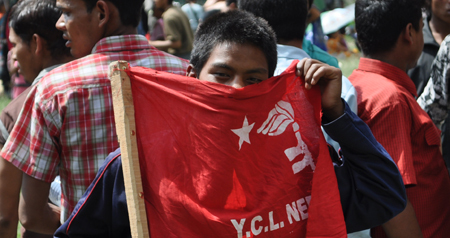 Nepal is a small land-locked country where communist revolution is changing everything. People are rising up against kings, castes and imperialism. Women are rising to lead. The revolution is related to the revolution unfolding in India. In the first half of 2010, two revolutionary journalists, Eric Ribellarsi and Jed Brandt of the Kasama Project traveled to Nepal to report on these events. Their presentation will tell the story of this revolution, the current situation in Nepal, and feature video and photography from their journey. Presented by the Southeastern Sociological Association (SSA) and the National Organization for Change (NOC) at Southeastern Louisiana University (SELU). The PSL in South Florida is hosting a winter series of monthly socialism classes (see below for the full schedule and more information). All classes are discussion based and free of charge. The first class of the series beings on November 10th. 02/09: Is a revolution possible in the U.S.? Discussing the role of organization and the necessity of a multinational working class party. Sooo…the United States is the greatest country in the world, you say? Best place on earth to live, you say? A few days ago a conservative told me that only the radical left saw immense problems at home in the U.S., and that the rest of the country was content to just live their lives as best they could. I gave this some thought, and I think this is far from the truth. I think there are many, many people that sense a huge problem but aren’t quite sure what it is. Just ask the mother with a nursing baby that was evicted from her apartment despite the fact that she has no family nearby, or perhaps her family is in a position hardly better than her own? Would she say there are no big problems facing this nation? What about the homeless man who can’t get on government programs because of having been convicted of a drug felony? What about the grandmother that had her home payed off and is raising her grandchildren because their mother is in prison for having to sell her body because she couldn’t find a “real” job and their father is serving a life sentence for selling crack cocaine, and then joined the refinancing craze only to be swallowed up by the adjustable rate trap and had her home she had lived in for 30 years taken from her? What about the family with their credit destroyed to the point of not being able to rent or buy a house because of medical bills? These people, and millions more, see a problem. Oh yes, they see a problem. It is only a matter of time and effort till we can make them see the solution. A Socialist society is the answer. When this large group of disenfranchised Americans come to realize this on a mass scale, the fat cats in Washington D.C. and the state capitols should tremble. For on that day, the age of capitalism in the U.S. will be in it’s last throes. Lets take a look at the truth of that sentiment. I’m not saying we have it bad off here compared to a lot of nations, it’s just that I tire of people thinking we’re all that. The fact is we’re average on most things, decent at some things and below average on some things. Anyway, I’ll shut up and let the facts speak for themselves.